Tom Daley‘s latest post to Instagram might just be the most adorable thing you’ll see online today. The Olympic silver medallist and host of Splash! shared an intimate picture to the social media site last night, showing us a hint of how he spent his Christmas break with new boyfriend, Dustin Lance Black. Posing together for a gorgeous selfie in front of The White House and the President’s epic Christmas tree, the pair look so happy and in love, it’s enough to melt your heart. 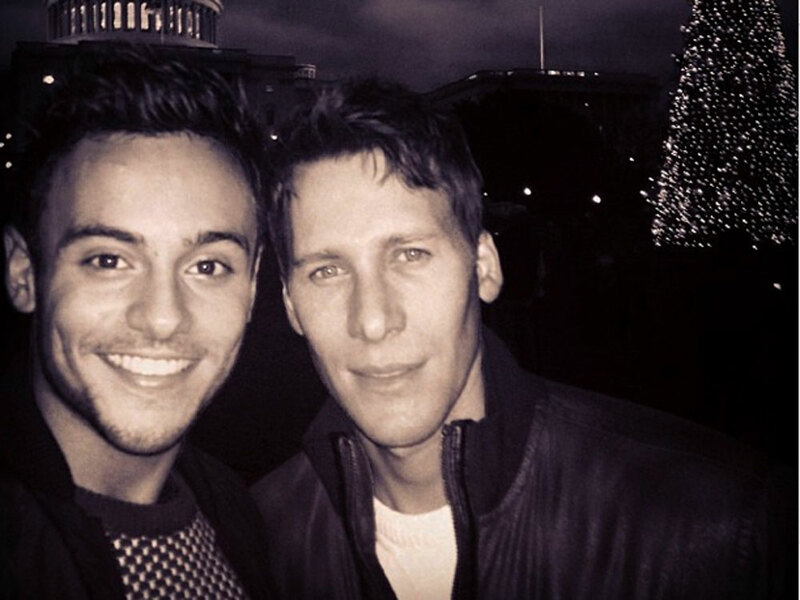 Tom Daley spent December being reasonably coy about his relationship with Dustin. But now the New Year’s kicked off, it seems he’s happy to show us what life is like for the pair since going public with the news that Tom was dating a man. It’s also the very first time he’s tagged his new love in a post, proving that he’s finally happy to let the spotlight onto his boyfriend. Dustin’s Instagram profile is already raking in followers, too – his current total 9,286 is no doubt set to grow as more of Tom’s fans attempt to follow the pair’s blossing relationship. Though don’t get too excited, there isn’t even a sniff of Tom yet, just a few random snaps of er… a keyboard and HP sauce. Boo. 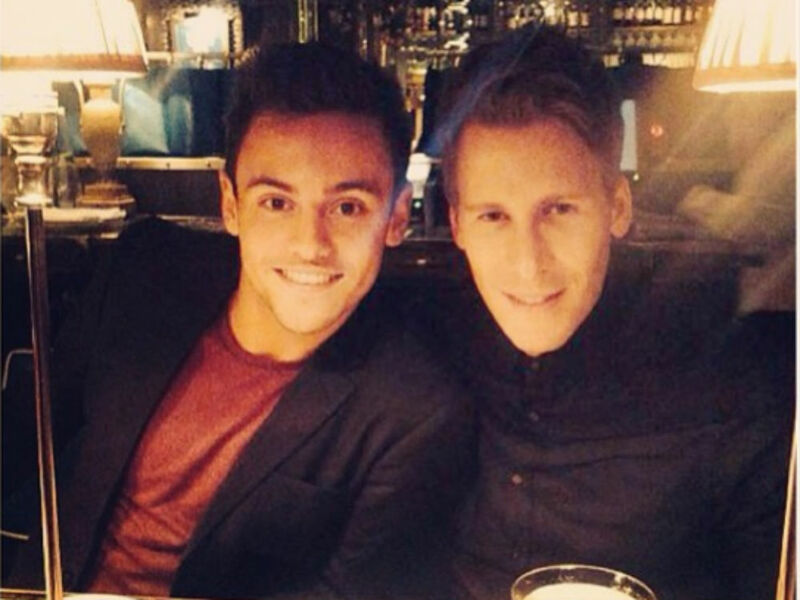 Tom Daley confirmed it was indeed screenwriter Dustin he was dating last week when he shared a picture of the pair enjoying a candlelit dinner following Splash!’s return to ITV. And the internet went CRAZY for it. And it was in early December that the diver made his brave confession to the world about his sexuality, revealing on a YouTube video: ‘ ‘In spring this year my life changed massively when I met someone, and they make me feel so happy, so safe and everything just feels great. Guys, we couldn’t be happier for you. And we’re pretty sure your Instagram family will be, too.